Wonder if Ajax and Red Furies will be exclusives again. This line (1:12) in other properties seem to run about $70/figure, so they are a little pricey. 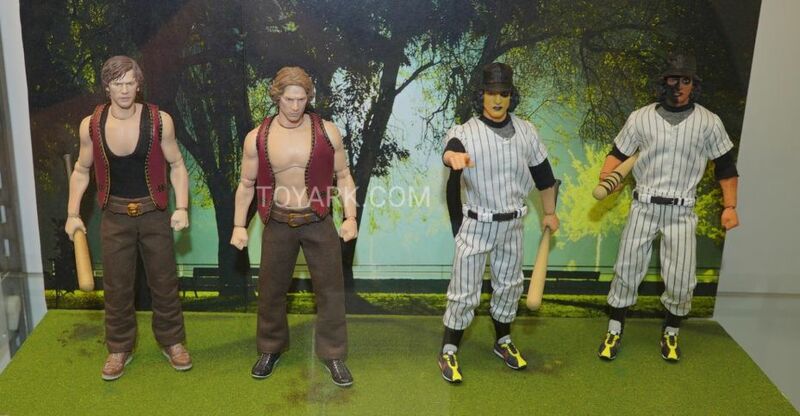 I know I’m buying all of them, if they actually come to market (Pop Culture Shock Furies??) I’m still waiting for the SD TOYS PIXEL figures. The prototype shots from the last series had Ajax minus gloves as well. Appears like they've done more research on the footwear. Just disappointed it's the same 4 characters yet again, and look little difference from series 2. The only thing that would get me hyped about these is if we were guaranteed further waves with new characters. Goddamit Mezco, make me a Snowball figure. These will be up for presale at the end of the week. According to the info I got, they are being sold as a box of 4 at $275. Pay deposit now but you won't get them for another year. Well that's already shafted a big chunk of their potential customers. These are going to go for extortionate prices on ebay. I will be picking them up. I have all the others except Series 1 GREEN/WHITE and BLUE/BLACK. Just in regards to what the previous series re-sale values are, it is a great investment. Scooped them up as soon as they went up. $311 with shipping and everything. Again, very pricey but they always increase in re-sale value. I wish they were a little cheaper as I would have liked to pick up 2 and repaint the FURIES.